“My God, its full of stars!” muttered Dr. David Bowman as he steered his vehicular pod into the monolith of Stanley Kubrick’s classic film, “2001: A Space Odyssey.” He found his assumption’s of a flat, solid object to be incorrect as he plunged into a bottomless well of potential. Last Saturday, I was not off the limb of Saturn’s moon Iapetus but on the campus of the University of Washington at WordCamp Seattle 2011. 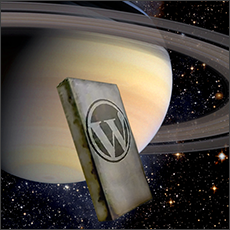 In this case, the stars were the 350 attendees who represent a sliver of the tens of millions of WordPress websites now installed. I press often and hard that technology is not a universe but one of a myriad of galaxies in the universe that is humanity. From the first moment one of our small, hairy ancestors picked up a stone and smashed open a bone for the marrow within, found the stone wanting and fashioned it further, we were engaged in technology. Considering the amount of flint flakes and stone points found everywhere across the globe, stone tools were most likely the first Opensource technology as well. Over the years, I have attended several hundred technology conferences. They have been focused on all the main themes: entrepreneurial investment, applications, operating systems, research & development, hardware, software, mobile, etc. You come to expect a given set of characters: pundits, pseudo pundits, neck beards, gear heads, chest pounders, plus the usual crop of mercenaries and opportunists. You also meet a handful of great people but they all have a statistical commonality, they were usually Young White Males.